I grew up in the Midwest, married my high school sweetheart at nineteen, and had four children. We’ve been married for twenty-two years. Our oldest daughter is twenty-one and works as a gas turbine engineer in the Navy. We have three boys, aged 19, 17, and 16. Our oldest son is studying software in college and shares an apartment with roommates. Only our two youngest boys live at home now and will both be graduated from high school in two years. Since we started out so young, it seems like we’re on the verge of life 2.0 and it’s exciting! We’ve got big ambitions! I studied respiratory therapy and worked in that capacity in the hospital setting. When we moved to Colorado, I was ready for a change and went back to school to study science, a field I’ve always loved. I have four more classes left to complete my degree in molecular biology. In order to earn some extra money and keep developing my skills, I’ve done some work part-time as a teaching assistant for the writing department at the university I attend. My husband TJ manages a product development group for an AV company based in Orange County, California. He works out of their smaller Colorado office and travels to the California office often. He loves the creativity and flexibility of his profession. We’ve always been frugal and have saved money as we could over the years. A little over two years ago, I began reading more about finance and learned how we could be leveraging our money more effectively. Paying off consumer debt, downsizing our lifestyle, fully utilizing saving vehicles such as 401k, IRA, HSA and after-tax investment accounts has significantly increased our savings rate and brought us peace of mind. In order to accomplish this, we live modestly. We own a 2-bedroom townhome and try to minimize our possessions more each year; following a minimalist lifestyle has freed up so much time, space and money. We have one car, a Toyota Corolla; we drive only when necessary. Instead, we bike whenever possible, even to the grocery store. We plan our meals, shop sales, eat leftovers, pack lunches, rarely eat out, and use our chest-freezer to minimize food waste. We use a clothesline to dry most of our laundry. We have Netflix instead of cable TV. We have a wide range of interests and entertain ourselves at home with cooking, hiking, listening to music, reading, and gardening. Rather than a miserly or spartan life, it’s full of life! And sprinkled in between is travel to interesting places. The goal is to invest in and improve ourselves along the way. TJ travels often for business. He goes to Europe a few times every year and the rest is within the US. I’ve had a very flexible schedule and as the kids got older, I was able to travel more with him. When I was diagnosed with cancer last year, we decided to increase the amount I traveled with him. Travel has always been a shared interest and our goal was to do more in the future. But, like many people, we planned on doing it “someday” and practicality was our chief goal. 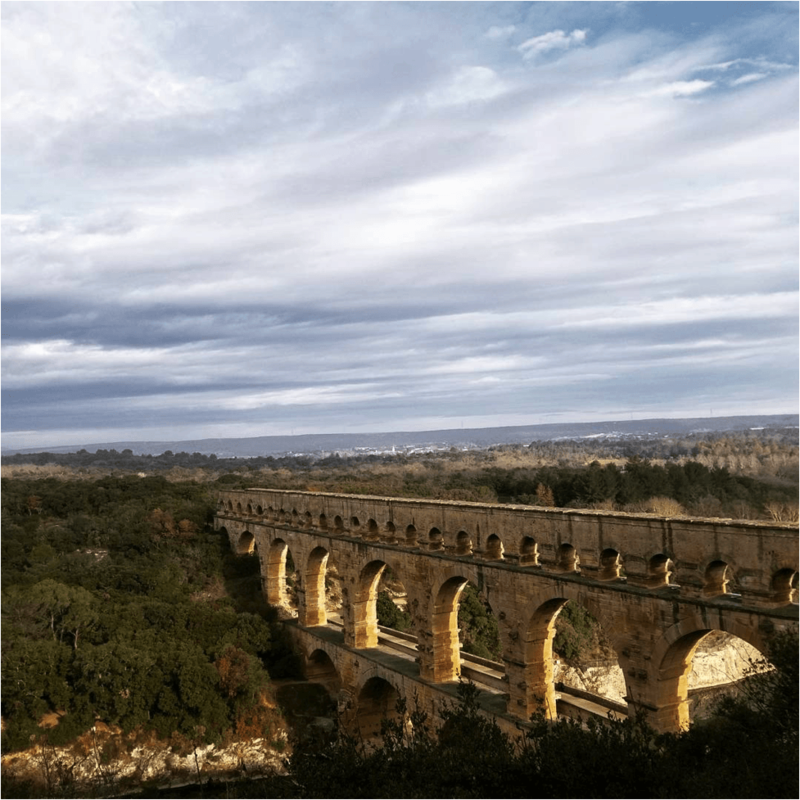 Pont du Gard, an ancient Roman aqueduct crossing the Gardon River in Southern France. Getting a potentially life-threatening diagnosis at just 40 was very scary. Besides fear, I felt regret for having so many things I still wanted to do. The advantage of youth is time, but the disadvantage is the tendency to take it for granted, believing you have it in perpetuity. Of course, none of us is really guaranteed time, and cognitively we know that, but we behave as if we are. For the first time in my adult life, I was painfully aware of how precarious and uncertain life is. I know it may sound trite, but in a way, I’m glad it happened, and not because I relish pain or worry, but because these kinds of events have the power to awaken us from our automatic pilot way of living and change our trajectory. So far, my prognosis is very positive and I’m choosing to use the experience as an impetus for change. Now, I begin each day thinking about how I can live it more intentionally – not for others, my pride or any other reason. This diagnosis has caused me to think in terms of outcomes; whether I have 40 days or 40 years to go, what kind of life do I want to live? For me? For us? 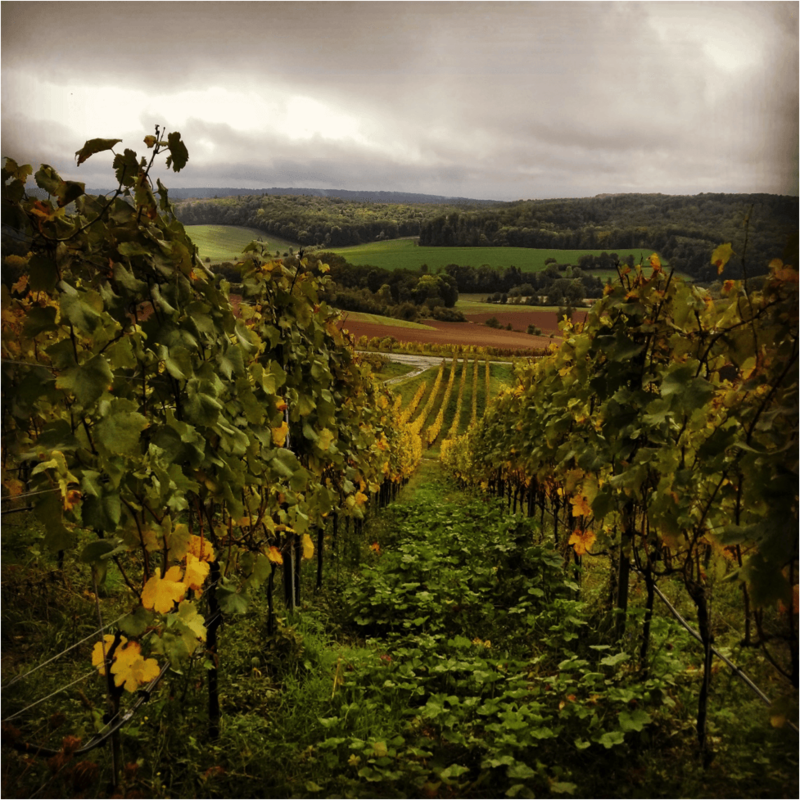 The Heitlinger vineyards near Teifenbach, Germany. When we reach financial independence, we may continue on exactly as we are, or we may decide to pursue other creative projects. Having options is our goal, as is being as free from stress as possible. In the meantime, we’re pursuing that aim in a more balanced way. Practicality is important, but not at the expense of enjoying life. You can’t have all the things, but you can have those most meaningful to you. Traveling more now, even doing it on the cheap, will slow down our ability to save as much as we could by staying home. That sacrifice is okay with us because we want to make sure we are enjoying life along the way to achieving our goal of financial independence. How do you make that work financially? With your jobs? Our international trips are a combination of work and travel for TJ. That means I only have to pay for my flights and meals. While he’s working, I’ll explore the city, take photographs and write during the day. 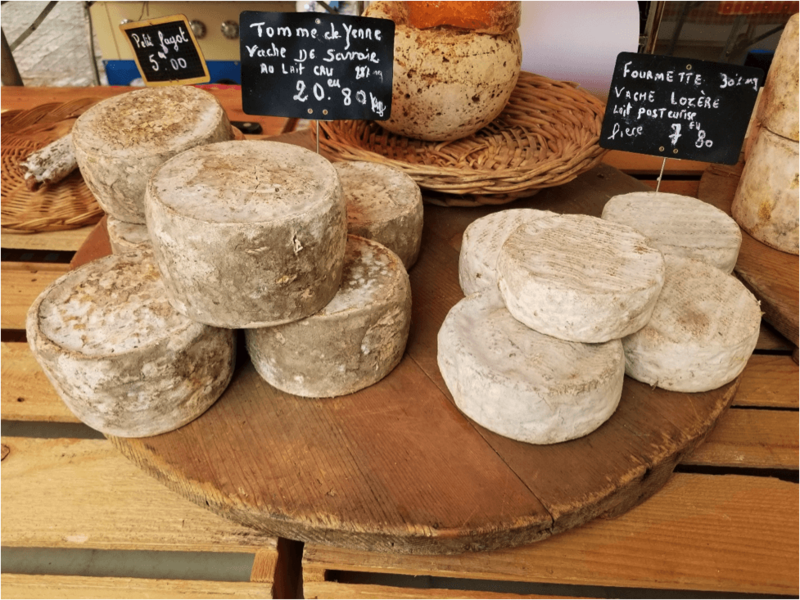 When we arrive, I go to the market to get some things for light lunches and snacks to avoid eating out throughout the day. If he doesn’t have a business dinner, we’ll meet up in the evening and enjoy the city together. 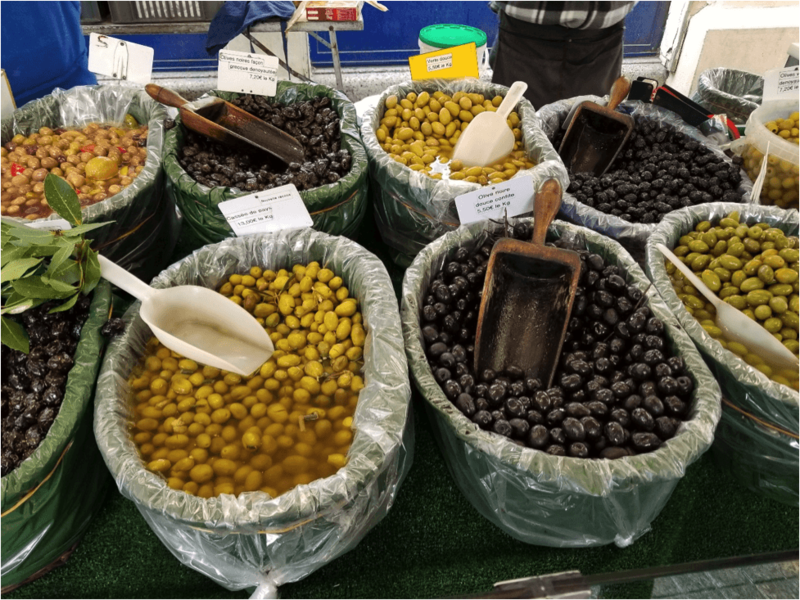 My idea of an olive bar! 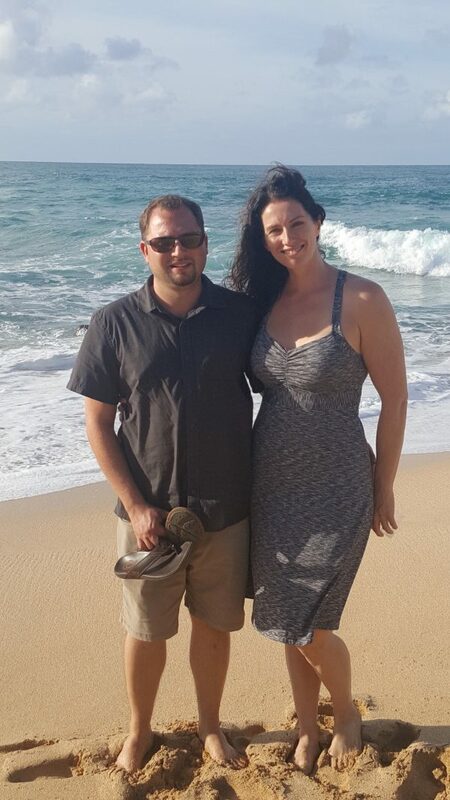 To maximize the opportunity, TJ uses vacation time once his business is finished to explore for a couple of weeks or more. We travel pretty frugally and try to keep similar habits as at home, but with more site-seeing! Here are a few ways I keep costs down. 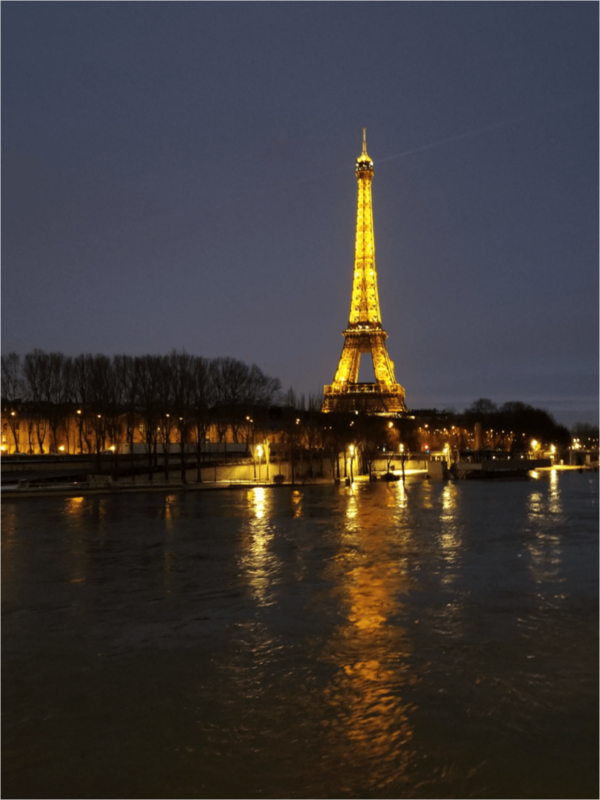 Air travel between European countries is usually less expensive than flights from the US to those countries, and the trains are an affordable option too. Airline tickets are often cheaper to purchase mid-week, so shop then. Traveling off-peak times during the week can save a lot of money, such as a Saturday evening instead of Monday morning. Use a credit card for spending that earns airline miles or hotel points. I’m using the United MileagePlus Explorer Card right now to pay for nearly all our expenses, which earns a ton of miles for later flights. Just be sure you can pay the balance in full every month. Traveling during off-seasons is a great way to get good deals on hotels and transportation. Go to Europe in the winter and that tropical island in summer or fall. There are less crowds during off-season too – that’s a plus in my opinion! The Eiffel Tower is just as stunning in winter. There are always great things to do, so don’t worry about missing out by traveling off-season. For instance, we were in France during February. The downside is that we missed lavender season. 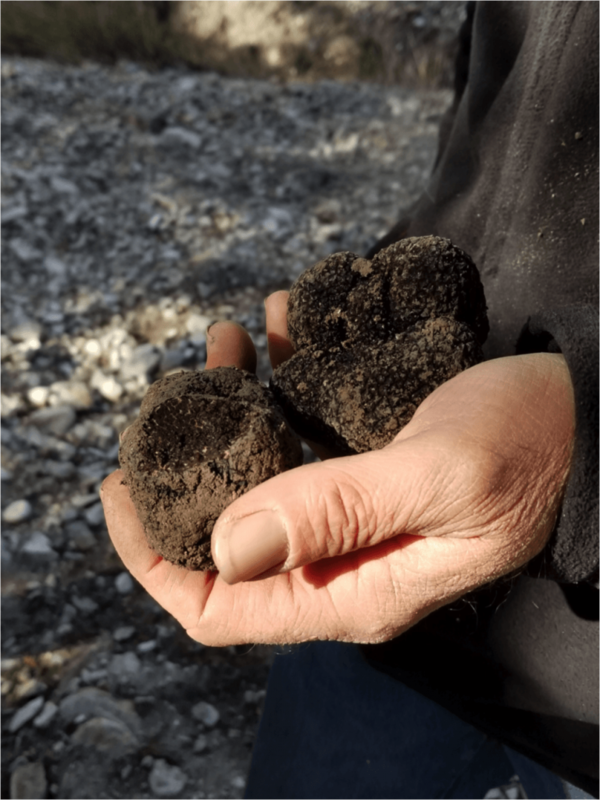 The upside is that we were there during black truffle season and enjoyed hunting them with a local farmer. It is possible to eat too many truffles by the way, but I regret nothing! Hunting black truffles in France. We shop local markets for easy breakfasts and lunches, that way we can enjoy a nice dinner out and not spend a fortune on food. Those small collapsible coolers are great to pack in your suitcase and are handy for easily toting lunches or snacks wherever you go. Remember to pack an empty water bottle and snacks when going through airports to avoid over-paying for mediocre food. Choose your hotel or Airbnb near public transit or city centers to avoid renting a car or paying for a taxi. Walking provides a more immersive experience anyway and is more relaxing than driving in an unfamiliar place. Make sure to do your research before you go to find free things to do. Many cities have free tours and other activities that are very nice. Pack light to avoid luggage fees. You may have airline status and get that free, which is great. It’s also easier to get around without having to drag a giant bag with you. I like packing coordinating outfits that mix and match well, along with a single pair of shoes that are comfortable and go with everything. No one will know you wore the same shirt a few times. If staying a couple of weeks or more, it’s pretty easy to find a laundromat. I even found one in the heart of Paris! I’d rather take a couple hours out to do some laundry on a long trip than deal with cumbersome bags or pay more to bring them. Favorite part of travel? Least favorite part? I like to approach travel just as I do normal life. There are days at home when things don’t go as planned and adjustments are necessary, and the same is true when traveling. You have to be flexible and remember that when something really challenging has happened, it will work out. You may miss a flight or a train. You may get lost, which can actually be fun! There may be delays or cancelations. All these things that can happen at home too and none of them are permanent. Keeping a patient and positive attitude is crucial to enjoying a trip even when there are challenges. Even still, I think having the privilege of being out there to experience new food, culture, history and people is so rewarding that the positives always out way anything that could happen. Street scene in Budapest, Hungary. In terms of our kids who are still at home, we have family willing to come stay with them just to watch over things and be around in case of any emergency while we travel. As a sophomore and senior, our boys are pretty independent at this point. However, there were quite a few years when travel was more limited because our kids were young and required more work to care for. During those earlier years, we always tried maximize what could be done. That meant more domestic travel with everyone in tow. We took road trips, which was great because our family got to see so much of the country. I think it’s great for kids to be exposed to travel at a young age. It builds knowledge and an appreciation of history, geography, and climate. It pushes them to try new foods and respect that, even within the same country, there are cultural differences. We’ve had lots of fun with them and really enjoyed our adventures together. I won’t deny traveling with kids can be work, but the benefits are worth it. We’ve tried to cultivate independence in our kids from a young age. They were doing little chores as age permitted. They put out the next day’s clothing, set alarm clocks, got themselves up and ready for school early on in elementary school. We taught them all how to cook, do laundry, budget and save money as they grew so life responsibilities wouldn’t be such a struggle later on. Of course, we were there to oversee things and worked along side them too. Now, when we travel, our boys can take care of themselves pretty efficiently because that’s what they’ve been doing for a long time. And, I think being able to take care of themselves has been great for building confidence. Please don’t misunderstand – I am not offering parenting advice here! I’ve got teenagers who are far from perfect (as are we all!) This is just what we did and it worked pretty well for us. No culture shock moments as of yet, but we were nearly kicked of a train traveling between Paris and Avignon! We had a friend help us with some planning of one leg of our trip and there was a mix-up with travel dates. We boarded the train on the wrong day, oops! The train attendants were very kind and let us stay…for an additional cost of course. Moral of the story: book your own tickets! Why would you recommend/ not recommend this to someone? I would recommend others find ways to make worthwhile tradeoffs to live the lives they’ve been dreaming about. For me, traveling is really important. Someone else may find travel stressful and have other ideas about what to do with their extra time and money. You can’t have everything, but you can have the things most worthwhile to you. Take a good look at your expenses and trim the fat so you’re left with space for your non-negotiables. 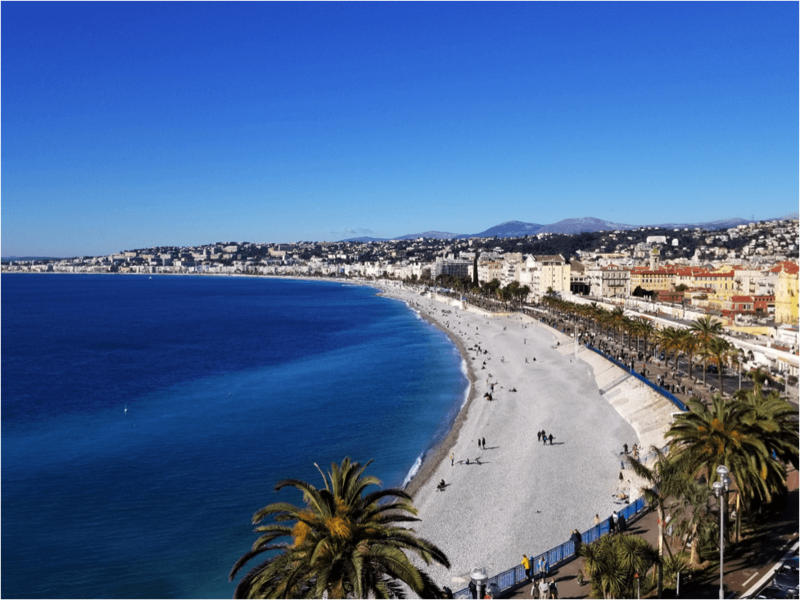 Iconic view of Nice, France. Any tips for how others could make extended travel possible? Take a mini-retirement, travel with a spouse, change to a more flexible career, start your own gig. If there is a way to adjust work schedules in order to travel together, do it! You’re more likely to regret missing out on great life experiences than working more hours or staying home more. Also, come up with ideas for frugal travel that work for you. How has traveling internationally for long stretches positively (or negatively) impacted your finances? (since this is a personal finance blog!). Spending money on travel, even when you do it frugally, reduces how much you can save every year. Slowing our pace toward financial independence a little is a sacrifice we’re willing to make because time and life experiences are valuable. What is that little saying – there is joy in the journey? Money isn’t everything, but it can facilitate happiness in the form of enabling enriching experiences. You have to find the balance, it doesn’t have to be either/or. Saving every penny at the expense of investing in yourself is a high price. 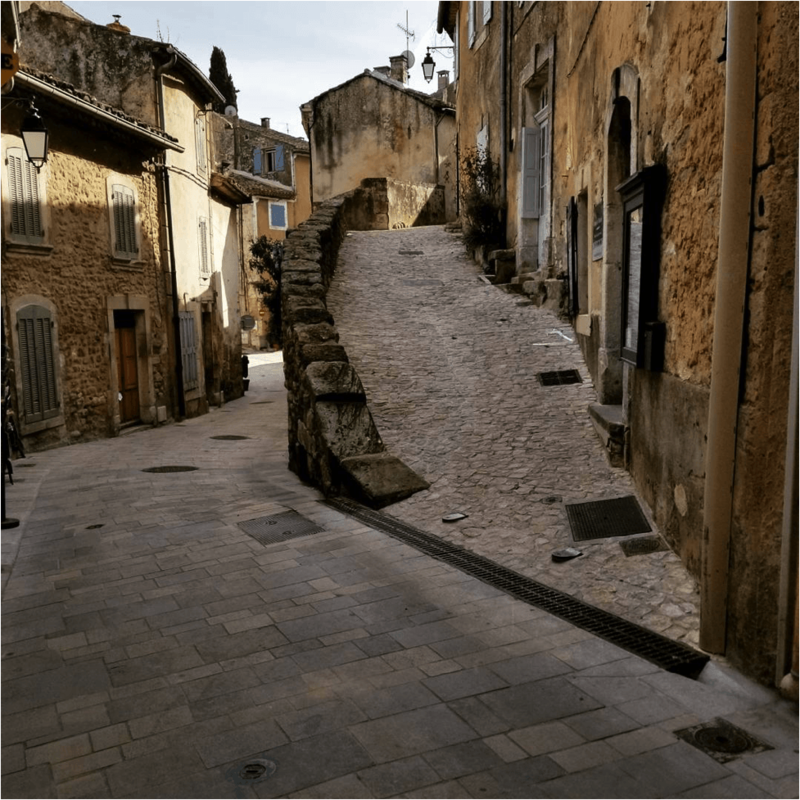 A street in Roussillon, France. What are your future plans for future trips? We just finished up several weeks of travel that took us through Germany, Hungary, The Netherlands, and France. It was a fantastic trip, but we’re ready to do more domestic travel for the next few months. Don’t rule out nearby travel; open a map and research destinations that are closer to you. Road trips are great too – part of the fun is driving and seeing the amazing sights along the way. We have such a diverse country to explore. We have some domestic trips planned for the Spring and Summer; Tucson for our desert fix, Santa Fe to fill up on green chili, California for some beach time, a few days in Vegas (for hiking, not gambling! ), and back home to the Midwest for some family time. That will take us through the fall. 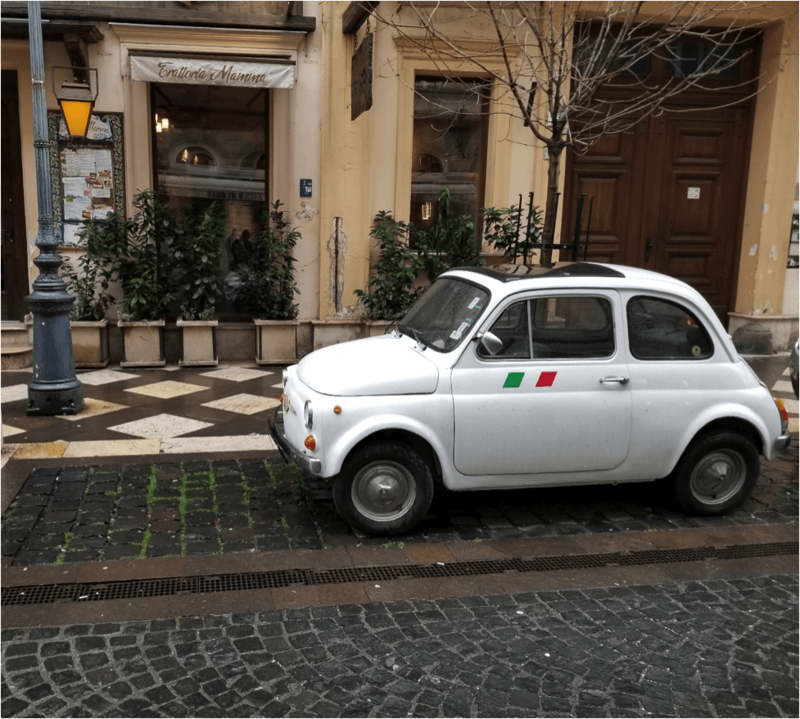 We are just beginning to plan our next international trip for February 2019, which will include Italy for sure, but the rest is still being decided. How do you choose a cheese? It’s amazing how Kara is truly able to live her priorities and make weeks-long trips possible. Find more great posts about creating happiness through simplicity at her blog, Provincial Table. And make sure to follow Kara’s truly stunning Instagram feed! What a beautiful picture of the Eiffel tower. I visited Paris recently and was not ready to leave. The history, the buildings, the wonderful shops, and watching Eiffel tower made the visit one I’ll never forget. And surfing to pass the time? 🙂 Sounds heavenly. That sounds like an awesome plan. If you’d ever like to share how you got there for the series, I’d love to interview you! Awesome! This is somewhat how we hope to travel as our boys get a bit older. Since we both are in education, we plan to take monthlong trips during summer breaks whenever possible. There is so much value in seeing the world! 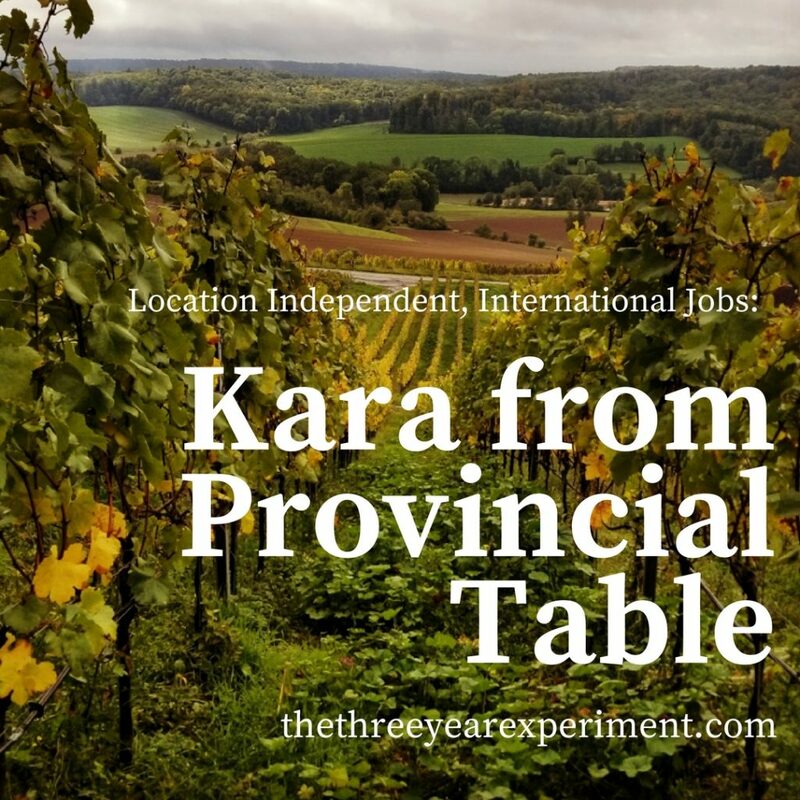 I love your “Location Independent, International Jobs” series! Thanks so much for sharing Kara’s story. It’s great to not only hear about wonderful lifestyles, but to also learn how they made it happen. Thanks again!